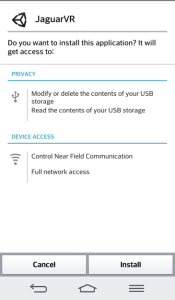 You can download JaguarVR binary for Android devices from here. 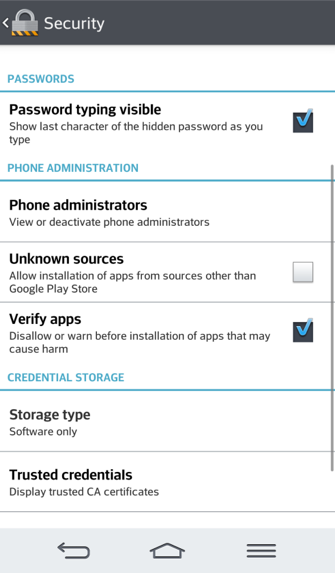 You can download apk directly from online, or upload it to your Android device. 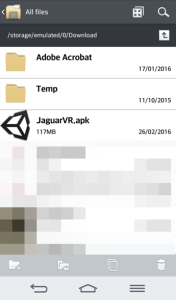 Locate JaguarVR.apk using File Manager. 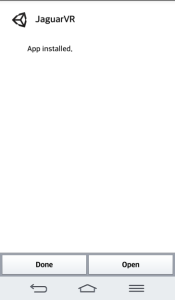 This will most likely be found in the browser downloads location on your device. 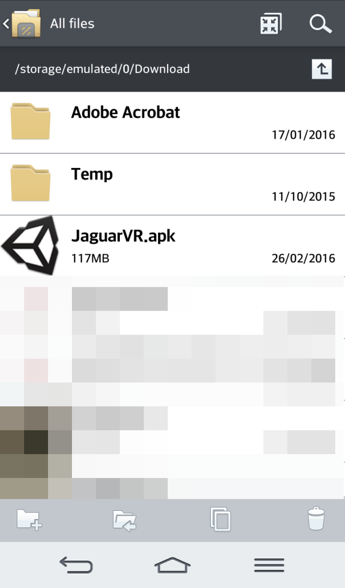 Tap JaguarVR.apk to begin installation. 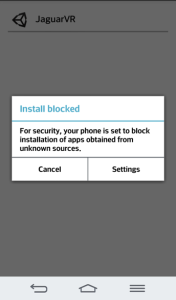 You may see a warning message saying that the installation is blocked. 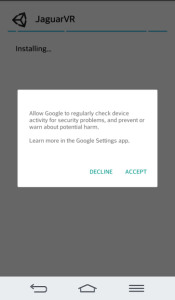 This is because it has not been downloaded from Google Play. 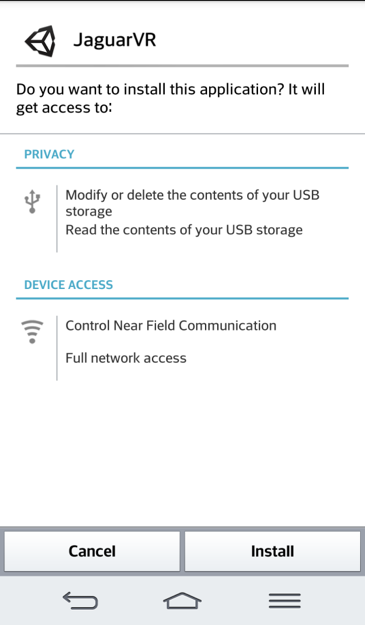 Tap settings to allow installation from unknown sources. 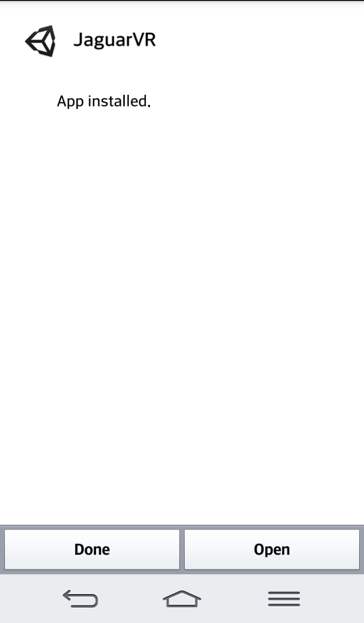 Swipe down until you see the Unknown sources option, and tick the check box to allow it. 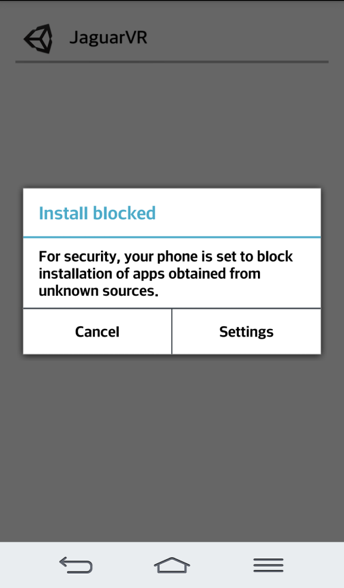 You may receive another warning about installing apps from unknown sources. Tap ok to continue. You will then be prompted to begin the installation. Tap “Install” to install the JaguarVR app. 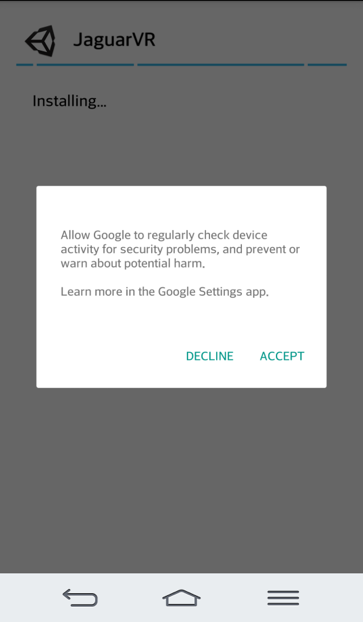 You may receive a message asking to allow Google to check your device for security problems. 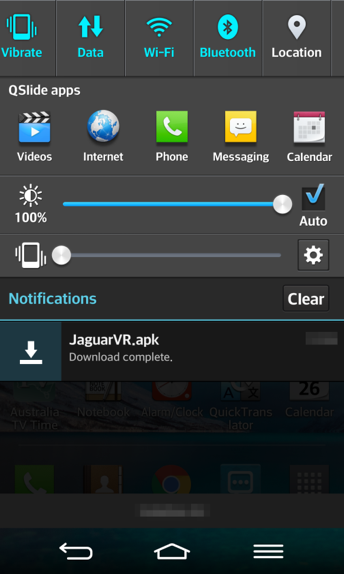 Once the installation has completed, tap “Open” to launch the JaguarVR app. 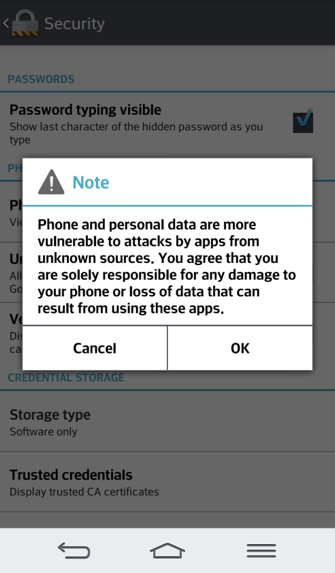 Note that once the app is installed, you can uncheck the “Unknown sources” option under Settings –> General –> Security.